We establish clear principles for evaluating relationships with customers, which allows us to focus on working with large and dynamic customers. We work with our customers, constantly improving the quality of our services. We make every effort to ensure better working conditions in order to realize the professional potential of each employee of the company. The company provides conditions for constant creative development of employees, raising their qualifications. Constant self-improvement is the guarantee of professional growth of specialists. We create the appropriate directions and opportunities for providing our customers with professional services in conditions of the modern economy. We provide the Company employees with advanced technologies and equipment. We create workplaces in accordance with the requirements of SNIP. 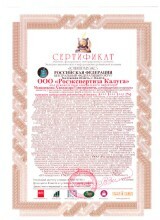 Participation as a member of the Working Party in appraising the market value of property items and rights of a number of engineering, food, agriculture, construction industry, trade enterprises on the territory of Kaluga region from 2001 to 2009. Руководство отделом международных связей компании и содействие в текущей работе предприятиям с иностранным капиталом, зарегистрированных в Калужской области (юридическое сопровождение, регистрация, постановка бухгалтерского учета, адаптация бизнес-процессов). Management of the company's international relations department and assistance in the current activities of enterprises with foreign capital registered in Kaluga region (legal support, registration, accounting, adaptation of business processes). 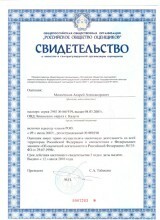 2005 A certified appraiser of the Russian Society of Appraisers. 2007 A certified expert in examination of business appraisal reports. 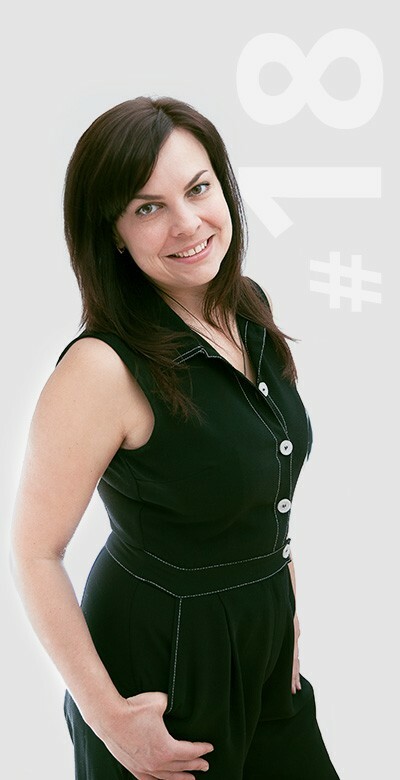 She has been working in the Company since 2004. During the period of employment she took part in appraisal of residential property for the purposes of mortgages, of seized property under contracts with the Department of Bailiffs in Kaluga region. She carries out and supervises projects for appraisal of commercial real estate, equipment, business, and property rights. 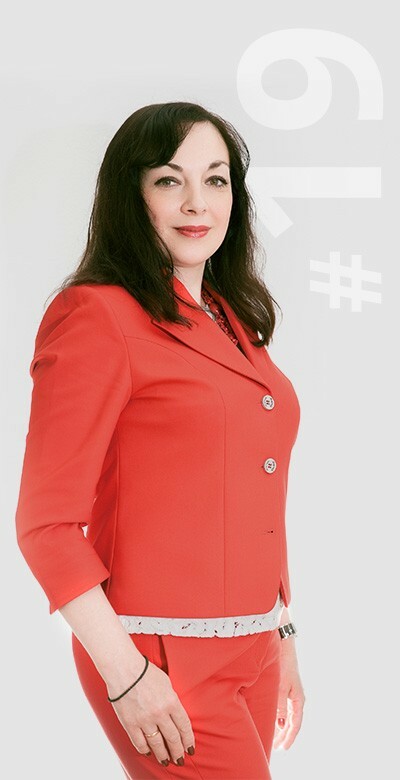 She is regularly invited to the Arbitration Court of Kaluga Region, the Kaluga District Court, the 20th Arbitration Appeal Court (Tula) as a forensic expert on the market value of property, net assets, cadastral value of land plots. 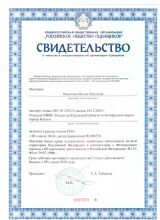 A certified appraiser of SRO the Russian Society of Appraisers. 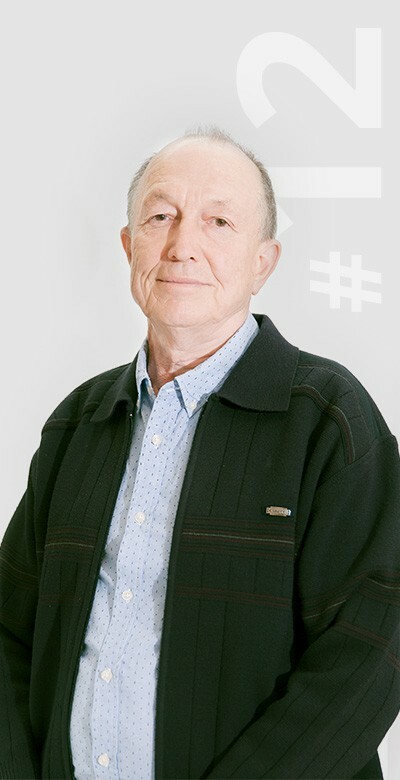 A member of Non-profit partnership "The Chamber of Forensic Experts"
He has been working in the Company since 2000. During his work he took part in inspections of a number of enterprises of machine-building , metallurgy, oil and gas, food industry, agriculture, construction, trade with Russian and foreign capital. 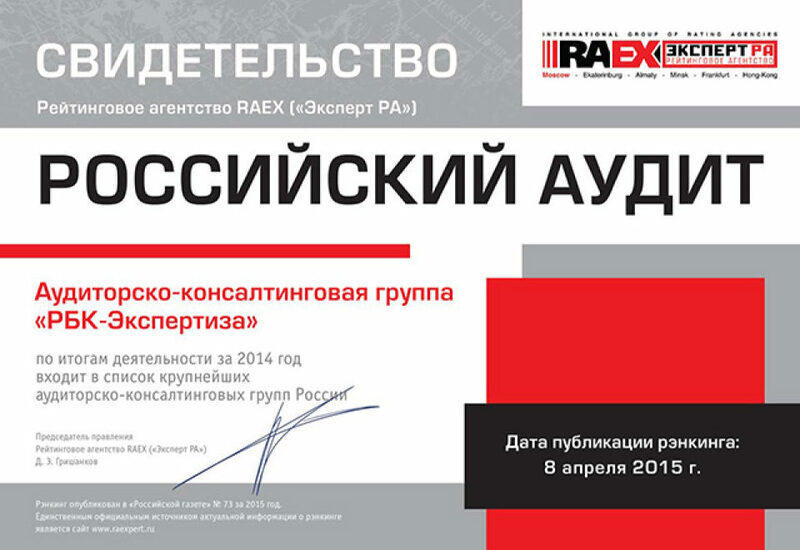 SRO "Russian Union of Auditors"
2003 He has a qualification certificate in general audit. 2009 A member of SRO "Russian Union of Auditors"
She has been working in the Company since 2000. She carries out bookkeeping and tax accounting; bookkeeping, tax, statistical reporting; conducts economic analysis of economic activity; provides accounting of financial and operational performance of organizations; develops activities related to the internal control system. 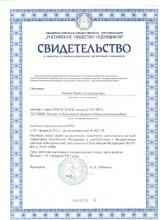 Non-profit partnership "Institutes of Professional Accountants of Russia"
2007 A full member of Non-profit Partnership "Institutes of Professional Accountants of Russia". She has a qualification certificate of a professional accountant – general accountant. Management of the company's auditing activities in the period from 1997 to 2012, participation as a member of the audit team in the audit of a number of enterprises of engineering, metallurgy, oil and gas, food industry, agriculture, construction, trade in the Russian Federation. Organization of accounting, accounting and tax consulting for enterprises with Russian and foreign capital registered in Kaluga region. 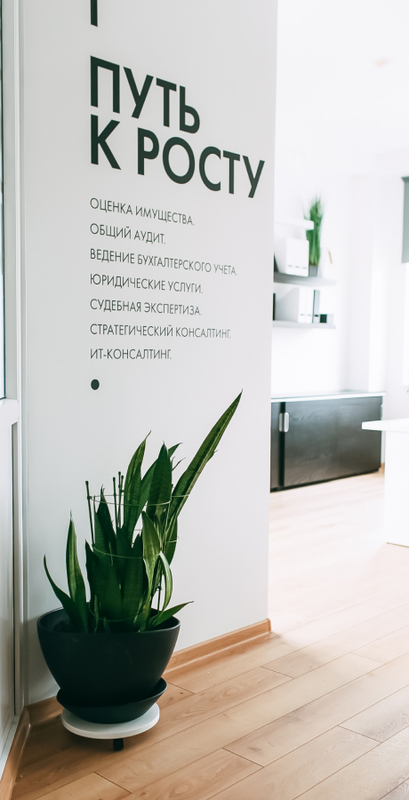 Management of the company's outsourcing department and assistance in the current work of enterprises with foreign capital registered in Kaluga region (legal support, registration, accounting, optimization, adaptation of business processes). 2016 Head of the Federal Project "DopOffice"
Based on the results of Expert RA’s research, RBC-Expertiza (MALTON) was included in one hundred of the largest audit companies at the year end 2014-2015. 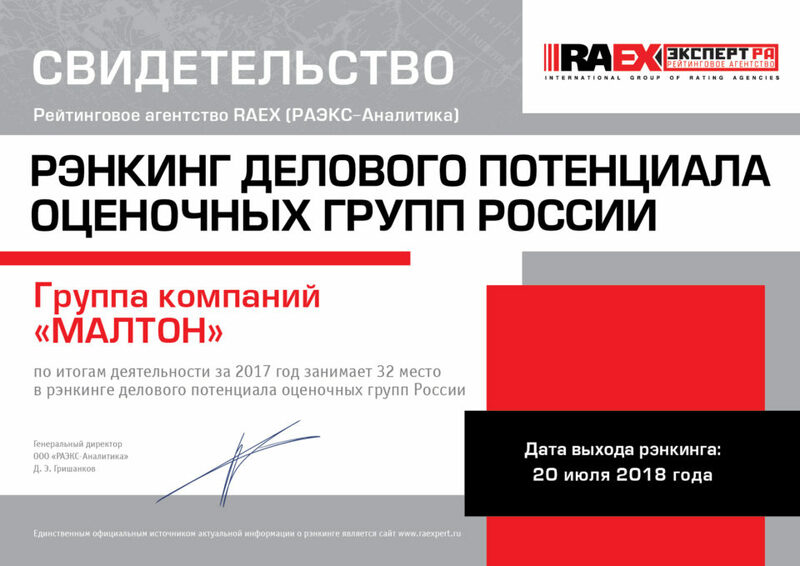 In 2017 the group of companies MALTON was included in the list of 30 largest assessment groups of the Russian Federation. Based on the results of the research conducted by the Information and Rating Agency (IRA) of the expert analytical company “UNIPRAVEX” on the federal integrated rating of audit and appraisal organizations (MALTON Group) leads in Kaluga region and has the index A ++ 1 +++ 1 +++. 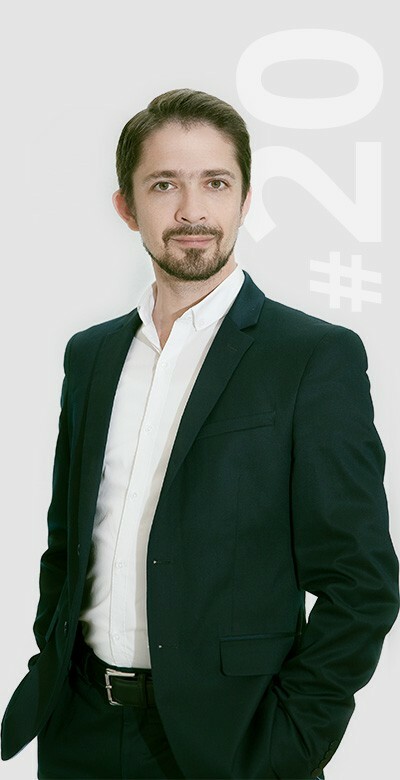 As a result of the research conducted by UNIPRAVEX, RBC-Expertiza LLC (MALTON Group) is a participant of the 7th federal integrated rating of leading audit organizations and groups. 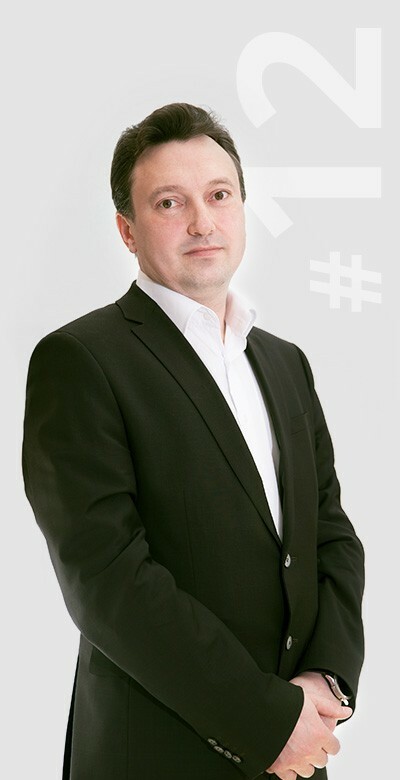 points, actively uses information technology, is characterized in the business services market as a financially stable company, is included in the rating index of the largest audit organizations and groups in Russia. The high competitive advantage is the presence of internal standards in the field of auditing, a positive image of the company, the largest number of certified auditors in the companies of Kaluga region “. 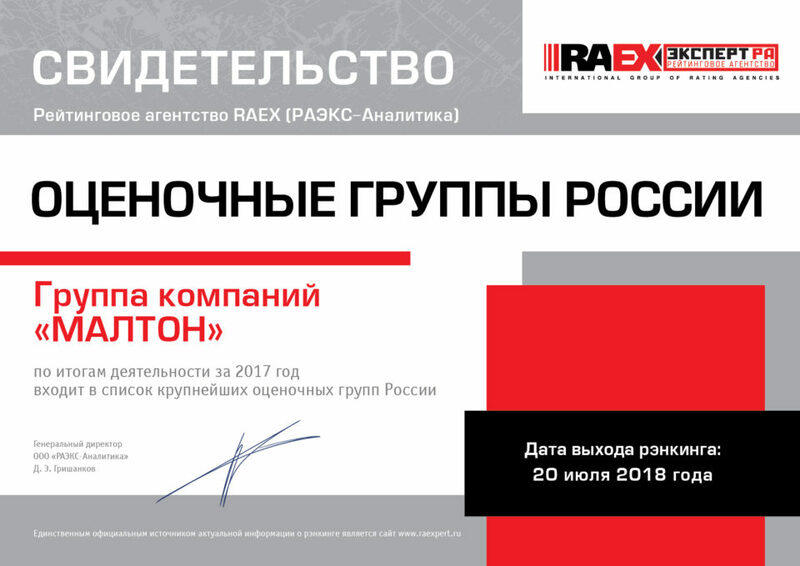 In 2009 and in 2012, RBC-Expertiza LLC (MALTON Group) won the contest “100 best goods of Russia”, thereby confirming the presence of a highly effective quality control system for the services provided.